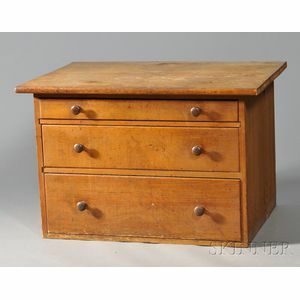 Shaker Pine Three-drawer Counter, Mt. 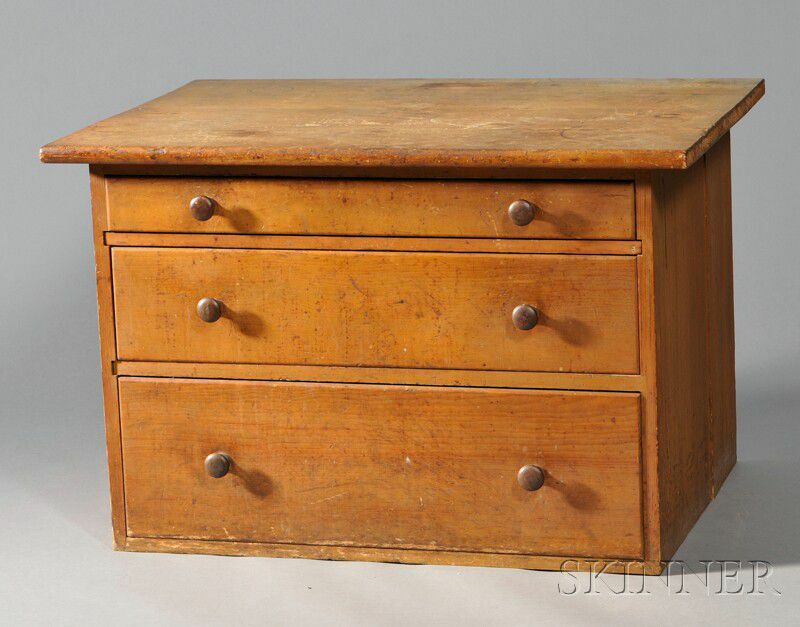 Lebanon, c. 1840-50, reportedly has cabinetmaker marks for Grove Wright or Thomas Damon, old natural surface, turned cherry knobs, (imperfections), ht. 24, wd. 36 1/2, dp. 25 1/2 in. top has some staining, right end of top appears to be missing an edge of some sort.